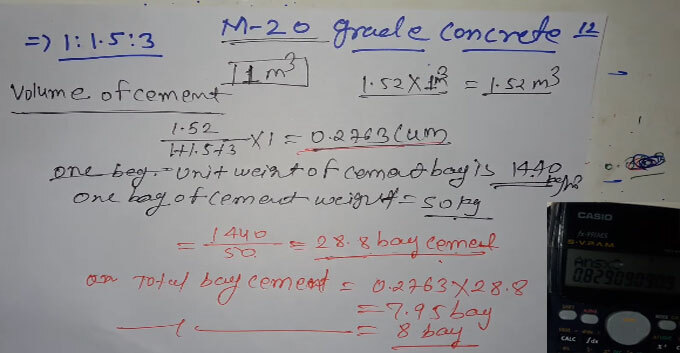 The proportion of M20 grade of concrete mix is 1: 1.5 : 3. Here 1 = cement, 1.5 = sand and 3 = aggregate. To convert the volume of cement to bag, we should divide unit weight of cement with weight of one bag of cement. To find out the quantities of sand and aggregate, watch the following construction video tutorial.